Patties Foods, the maker of Australia’s best known pie, Four’N Twenty, has announced a Net Profit After Tax (NPAT) of $16.7 million for the year ending 30 June 2014, up from $4.8 million in the previous year. In line with market guidance provided in February 2014, the 2H14 NPAT delivered a 5.1 per cent underlying growth on the previous corresponding period. This compares to a 1H14 underlying decline of 7.5 per cent and FY13 underlying decline of 12.7 per cent. Iconic brands in the Patties Foods portfolio include Four’N Twenty, Herbert Adams, Nanna’s, Patties, Creative Gourmet and Chef’s Pride. 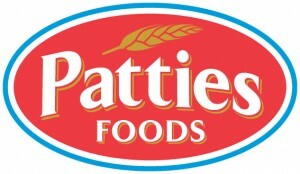 Patties manufactures and markets food products for the supermarket, petrol and convenience, catering and general foodservice channels in all parts of Australia. Patties Foods reported that revenue grew by 1.2 per cent despite the loss of a major private label frozen fruit contract. Profit Margins were stable in a competitive market place with channel margin pressure and increased input costs. These were offset by improved manufacturing performance and sales price increase. “It is pleasing to see a return to profit growth in 2H14 as we see the early benefits of investing in branded growth initiatives and innovation, with continued focus on productivity improvements including effective cost control,” said Mark Smith, Patties Foods Chairman. Managing Director and CEO, Mr Steven Chaur said that having recently joined Patties Foods Limited, he was “delighted to be leading such a vibrant and exciting Australian owned food business”. “Patties Foods has an energetic organisational culture and is supported by leading consumer brands; a modern automated Bakery and; has a wide breadth of customer markets that it serves,” Mr Chaur said. Mr Chaur said that despite the pressures of a competitive market, as the market leader Patties Foods continued to see significant growth opportunities for its products and popular brands within its multiple sales channel business model. He said there was room for growth especially in the out of home, food service, sporting venue and in-home consumer channels, and that Patties Foods also continued to explore new markets for its products. “Recently launched innovative new products are delivering excitement and incremental growth within our existing channels,” Mr Chaur said. “Our innovation program remains centred on creating profitable new eating or snacking occasions; enabling category and channel expansion and; delivering to customer and consumer trends for more premium, delicious food products,” he said. Mr Chaur said that over the past 12 months, Patties Foods’ productivity, safety and efficiency programs at its Bairnsdale bakery had delivered improved results, with operational and automation investment continuing to increase its efficiencies, product quality and bakery cost base performance. “Our major pie line 2 robotic automation project is now stabilised and delivering efficiencies as planned,” Mr Chaur said. “Over the coming 12 months, our operational focus will continue on driving Continuous Improvement, Bakery efficiency and product quality initiatives,” he said. Patties Foods maintained market share leadership in all categories. FOUR’N TWENTY remained as the market leading brand. Branded growth from PATTIES (+21 per cent) in the supermarket channel supported by product and packaging innovation and a marketing campaign. Branded growth from NANNA’S frozen fruit (+92 per cent) though innovative new product launches with high customer penetration whilst the frozen fruit category grew by 36 per cent. The launch of new products such as FOUR’N TWENTY Real Chunky Pies, HERBERT ADAMS 8-hour Slow Cooked premium pies and; PATTIES Pie Bites. Strong cash flow and an improved Balance Sheet with conservative gearing. Patties Foods reported it had strengthened its balance sheet with improved gearing and a net debt to equity ratio of 47.5 per cent at 30 June 2014 (50.9 per cent at 30 June 2013). Total cash flow generated from operations in FY14 was $23.2 million, delivering an 11.4 per cent increase on the previous corresponding period. Accordingly, Net Debt reduced by $4.3m to $63.7 million (30 June 2013 $68 million). Furthermore, interest cover improved to 7.1x (FY13: 6.7x). The Board has declared a fully franked final dividend of 3.9 cents per share (FY13: 3.9 cps). The total dividend per ordinary share for FY14 is 7.1 cps representing an underlying pay-out ratio of 59 per cent (FY13: 58 per cent). The record date for determining this entitlement is 17 September 2014 and the payment date is 8 October 2014. Patties Foods said it was “a vibrant food company with strong growth prospects” derived from a multiple sales channel business model, supported by an automated bakery operation and category leading brands. Capitalising on its multi-sales channel business mode. Being recognised as an innovative, strategic business partner with all its customers. Making ongoing investment in its icon brands. Growing through premium, innovative new products and packaging that increase consumption, drive new distribution and create new eating occasions. Implementing necessary price increases to recover input costs (eg meat). Continuing its drive improved manufacturing efficiencies, a safer workplace, lower conversion costs and the highest quality food products. Frozen Fruit business transition to a global sourcing model is on track to deliver cost benefits in 2H15. Disciplined management of overhead cost growth across the business. “With a clear program to deliver exciting innovation; increased brand support; investment in operational improvements; and prudent cost management, Patties Foods Limited remains focused to deliver growth and improved earnings,” Mr Chaur said. Is the supermarket model being disrupted, and nobody is noticing? A new food franchising group based in Brisbane is set for rapid Australian expansion in 2017.